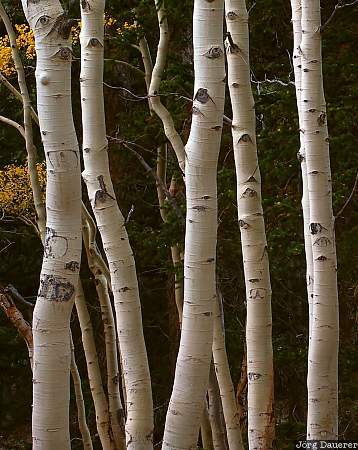 The white trunks of Aspens seen in the high altitude of Great Basin National Park. Great Basin National Park is in eastern Nevada in the western part of the United States. This photo was taken in the evening of a sunny day in September of 2003. This photo was taken with a digital camera.